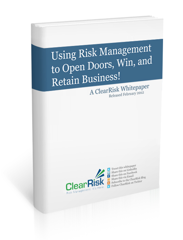 Using Risk Management to Open Doors, Win, and Retain Business! Most insurance brokers only offer clients one form of risk management: the transfer of risk through an insurance policy. However, your clients see you as their trusted risk advisor. How can you offer them the risk management expertise that they need, and how will this benefit your brokerage business? According to a recent PWC study, more than one in three businesses (36%) or companies were the victim of economic crime in the last year. Are you confident that an employee would blow the whistle in your organization? Using simple risk management tactics is a powerful way for brokerages to win business and improve profitability. Learn more about the opportunities you should be taking advantage of.